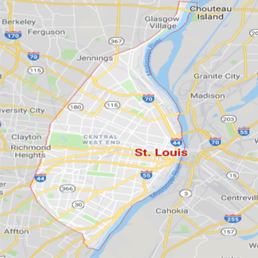 Solving the difficulties presented by a pipe burst, water heater malfunction, or toilet overflow can be a challenge, and that is why the work is best left to the professionals such as 911 Restoration St. Louis owner John Fowler and his water damage Fenton team. 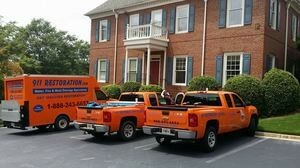 John and his water damage Fenton crew know that the best method for mitigating the level of damage that any water intrusion can cause is to be at the scene quickly with all the right tools for the job. Not only can John get to the site of a water damage disaster quickly, he and his crew are available to take on projects at all hours of the day and night by being available 24/7/365 for just such emergency situations. Don’t let your home become a river of category three water from a toilet overflow. Contact John and the water damage Fenton team with 911 Restoration St. Louis and get all the restoration services your home needs today! John and the water damage Fenton team know everything there is to about how to amend a situation that has already been through water damage, but they are also specialists when it comes to the simple maintenance tricks and techniques needed to avoid such events in the first place too. Trim back the trees on your property that are threatening to break off in high winds or extreme snowfall. If these impale your home, they will undoubtedly introduce huge amounts of water damage to the interior, so simply doing some pruning can save big in the long run. Allow a restoration expert to come and inspect your system with a visual scoping snake tool to find any sections of your plumbing that might be prone for obstructions that can burst and cause water damage. Never let the temperature in your home dip into freezing as this may cause a pipe to burst when put under pressure. 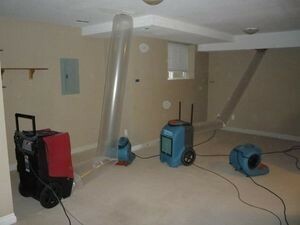 A pipe burst can be very challenging to fix, and they tend to cause massive amounts of water damage when they occur. Never place anything into the plumbing system that it was not specifically designed to handle. This can include multi-ply as well as products that claim to be organic or biodegradable. Check the fittings, and inspect the rubber hoses on your appliances for any wear and tear that may lead to a rupture when put under pressure. These can cause massive amounts of water damage and they usually occur while you are doing other things and thus don’t notice until it is too late. Don’t let your home flood with water from a toilet overflow. 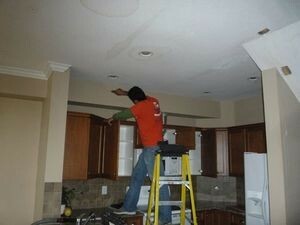 Contact John and the water damage Fenton team with 911 Restoration St. Louis to get your problem solved today! When John got a call at three in the morning to help out a homeowner with pets and no dry ground to keep them on, he shot out of bed and rushed over to help her. John and the water damage Fenton team got straight to work eliminating the excess water, and finding the leak source at the same time. John and his water damage Fenton crew even made friends with a lovely German Shepherd named Rex in the process. Don’t let a flooding event force you and your family or pets onto the high ground of your furniture. Contact John and the water damage Fenton specialists with 911 Restoration St. Louis for all the help you and your pets need today!